I find it super appropriate that the week I was asked to talk about my summer cycle survival kit, it happened to be that glorious time of the month for me as well. This was also the week that we had no AC (repair man is on his way over now! ), so as you can imagine, I'm sure I was just a plain ole' Georgia peach to be around this week. Luckily this isn't my first go around with these types of things, so over the years I've made sure to do a few key things to make sure that I'm as happy as possible, even if I really want to be laying in bed all day and ignoring the fact that my kids are screaming. The good thing is that surviving your cycle really doesn't have to be the most terrible thing ever. Aside from cramps it never really bothers me that much. Plus, when my husband is ten times more likely to come home with a pint of my favorite ice cream... it's definitely not the worse. So here are my 5 tips for surviving your cycle, and making the most of that time of the month. 1. Drink Lots of Water: This is really a tip for life in general, but especially during this time it's important to stay hydrated or else you're bound to feel ten times worse than you already do. I try to drink 60oz a day (a habit I started this January! ), but during this time I try to up it to 90 so my body can be continually replenished of it's fluids. 2. Exercise: Another thing you should be doing everyday... but I find that if I can get outside and go on a run during those first couple days, for whatever reason it really helps my cramps to go away faster, and I have more energy from those endorphins, so I'm a lot more energized during the day as well. I've also found I'm a lot more productive as a mother if I can get my workout in early in the morning instead of late at night when they're in bed. 3. Take Care of Your Skin: I'm super prone to hormonal breakouts so I always make sure to give my face a little boost during that time of the month. I love doing face masks, and giving myself a little at home spa night. Also, drinking all that water helps to keep your skin clear, so bonus! 4. Have a Treat: I usually reserve this to be purely chocolate, but the lack of AC and the summer months have had me craving some good popsicles. They're cool, and refreshing, and don't make you feel super terrible about yourself... because 40 calories and zero fat... so why not? 5. 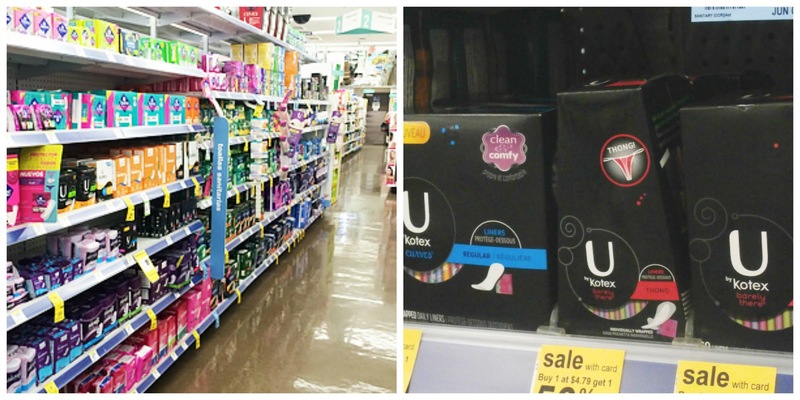 Have Good Liners: I've gone through quite a few brands in my life, but I love that Kotex has a liner for every woman. Whether it's a super light day, or your're a little more curvy, they have something for you! And right now you can use the Ibotta app to get $.75 back on your next purchase of Kotex liners at Walgreens... and we all know how much I love a god coupon. That's all the tips I have for today! What do you do to survive your cycle? Are you in bed watching Netflix? Reading good magazines? An at home spa night? Let me know! Awesome! Your shoes are gorgeous!